The challenge was to raise women’s welfare for a better perception of their own beauty. Mobile technology was brought as an ally, so women could create new looks to express their own beauty anytime and anywhere. 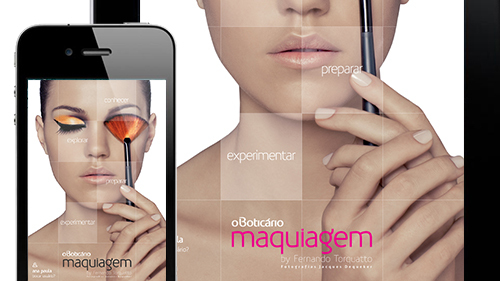 The application is used mostly by women who wants to learn makeup techniques. The profile and context were identified with reasearch of the public’s behavior on the market segment and the brand’s target public. Women can express their beauty through the application. User’s interaction created a buzz for the brand straightening the relationship with the target, promoted products and delivered content through small value payments strategy. The process included an immersion in female’s universe and involved co-creation, development and evolution, using daily continued use. iPhone and iPad were chosen because of the practicality and a better performance with the public.